Slip, 3 vols, pbk, 9.75 x 14 in. / 1300 pgs / 1271 color / 36 bw. Foreword by Pier Luigi Tazzi. Introduction by Nicolas Schwed. Text by Hans Belting, Giovanni Careri, Julia Kristeva, Tom McDonough, Hans Ulrich Obrist, Jacques Rancière, et al. 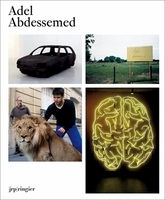 Working in sculpture, installation and video with powerful, often brutal images and materials, French-Algerian conceptual artist Adel Abdessemed (born 1971) has created one of the most energetic political oeuvres of recent times. A "pitiless young festivalist," as the New Yorker described him in 2009, Abdessemed imparts a raw euphoria to his sculptural works, which have included the crushed fuselage of a commander jet and a terracotta model of an overturned car he found on fire in the street. 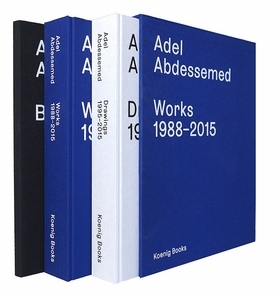 This extraordinary three-volume publication constitutes the first comprehensive overview of his work. 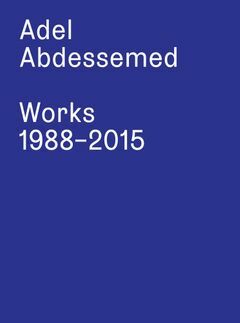 Bringing together over 1,300 images of his works, it includes commentary by leading art historians Giovanni Careri, Angela Mengoni and Pier Luigi Tazzi, and essays on the artist’s work by some of the world’s most seminal thinkers, such as Hans Belting, Julia Kristeva, Philippe-Alain Michaud and Jacques Rancière. Introduction by Abdellah Karroum. Text by Pierluigi Tazzi, Angela Mengoni, Abdellah Taia. Interview by Hans Ulrich Obrist. FORMAT: Slip, 3 vols, pbk, 9.75 x 14 in. / 1300 pgs / 1271 color / 36 b&w.